A global engineering firm has picked the Soapworks development as its new north west base. 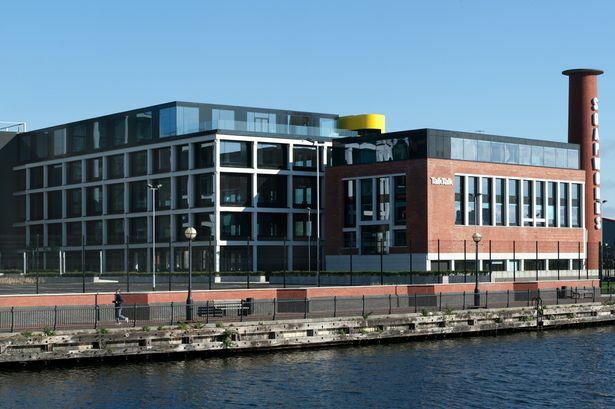 MWH Global has signed a 10-year lease at the Salford Quays building, which is now 90 per cent let. The firm, which operates in the water and natural resources sectors, has taken 25,000 sq ft over two floors of the Soapworks, which is near to MediaCityUK. It was developed by The Carlyle Group with its joint-venture partners Nikal and Abstract Securities. The deal means there is just 25,000 sq ft remaining at the Soapworks. It followings lettings to TalkTalk and The Home Office. MWH Global will be the first tenant to occupy the second phase of Soapworks. The lease starts in October 2015. Ben Du Boulay, director of The Carlyle Group, said: “For an internationally recognised business such as MWH Global to acquire office space at Soapworks is a major endorsement of the new environment we have created. “Our commitment to provide a working environment that is unique, modern and versatile has seen us successfully let 90 per cent of our space to welcome renowned brands to Manchester and building relationships with the highest calibre of clients as a result. Tom Standring, of MWH Global, said: “Our business is made up of a highly experienced team of over 7,000 employees, over six continents: this means that making sure that everyone has the very best working environment possible is extremely important to us. Chris Mulcahy of JLL represented The Carlyle Group and MWH were represented by CBRE. JLL and Canning O’Neill are joint agents on the Soapworks scheme.